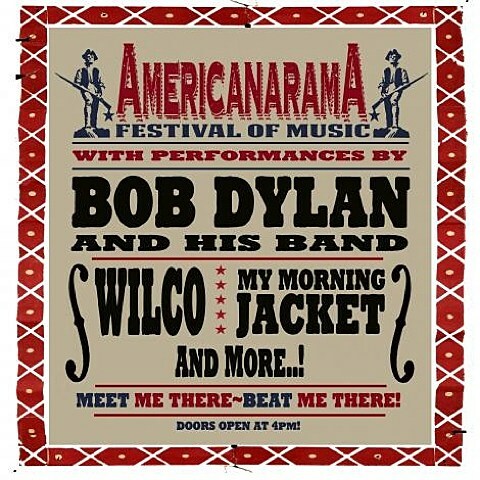 Bob Dylan, who is currently on tour with Dawes, just announced his AmericanaramA: Festival of Music tour, which he’ll be going on this summer. And he’s tapped some pretty incredible support to go along with him: Wilco and My Morning Jacket. That tour hits the NYC area on July 19 The Ballpark at Harbor Yard in Bridgeport, CT, July 26 at Pier A Park in Hoboken, NJ, July 27 at Nikon at Jones Beach Theater in Wantagh, NY, and July 28 at Susquehanna Bank Center in Camden, NJ. Ryan Bingham is also on all three of those dates and several others as well, and Richard Thompson is supporting on some of the other shows, but none in the NYC area. 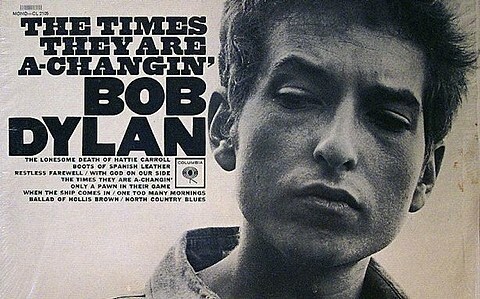 A ticket presale begins on Bob Dylan’s site this Wednesday (4/24). Stay tuned for more ticket info. All dates are listed below. UPDATE: My Morning Jacket are not playing the Jones Beach show, but they will be on the other three NYC-area dates. As mentioned, My Morning Jacket frontman Jim James is also on his own tour that hits NYC for a sold out show on April 29 at Webster Hall with Cold Specks and for a Celebrate Brooklyn! show at Prospect Park on June 18, where he’ll be playing a collaborative set with The Roots. Tickets for that show are on sale now.